“Kornblue Kicking is the exclusive partner for instructing and selecting specialists for the Pro Football Hall of Fame World Bowl, which is played in Mexico City. Underclassmen & youth specialists learn and compete for 2 days at the Pro Football Hall of Fame Camp every summer (INVITE ONLY). Specialists receive the highest level of instruction on the field and in the classroom. An All American Team is named for each grade level. Youth specialists compete for a spot in the 8th Grade All American Game, which is played in Canton in conjunction with the opening game of the NFL season. CLICK HERE for more details. “ Since 2013, Wilson has been providing the official footballs used at each of our Fab 50 and Kornblue Showcase events. At the heart of sports history for almost a century, no other company has been as influential and intimately involved in shaping the games of tennis, golf, baseball and American football as Wilson. As the originator of breakthrough technologies, Wilson is the true American icon in the world of sports equipment. “Do you need tees, holders, or any other kicking related equipment? Wizard Kicking has it. We sell Wizard products at all of our camps. Wizard products are designed and manufactured with the highest standards. With input from pro athletes and equipment managers, Wizard Sports continues to improve and offer the best in game and practice sports equipment. “ Simply the best kicking and long snapping net on the market! Durable, lightweight, portable, easy to set up, and affordable. 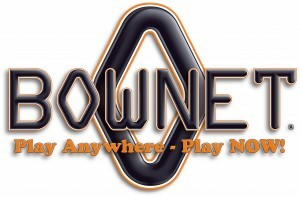 Bownet has won the prestigious Platinum ADEX Award in the Product Design category for the complete line of Bow Net Portable Sports Net – ADEX stands for Awards for Design Excellence and is the largest and most prestigious awards program in the A&D industry. Purchase through our STORE in order to receive promo pricing available only through our website.